We were thrilled to work with the Wildlife Conservation Society on 96elephants.org. The site tells the story of ivory poaching through maps, infographics, and photos, urging users to take action on the behalf of elephants. 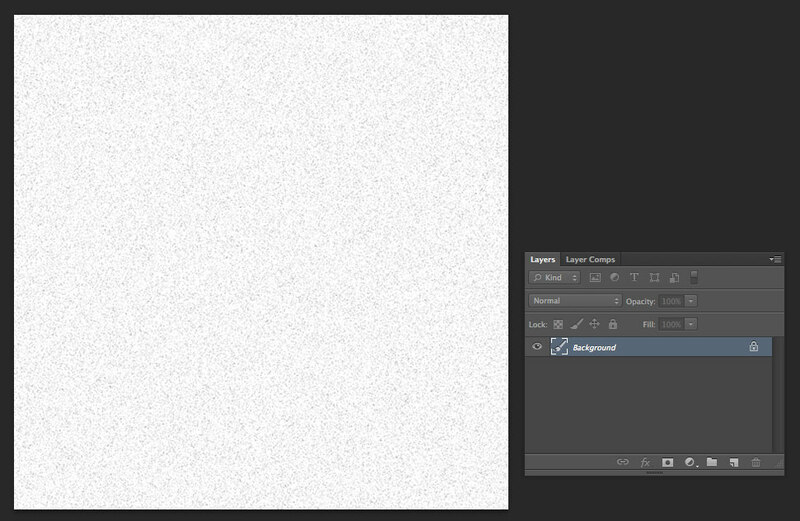 Let’s start by generating some grayscale noise in Photoshop. Create a white canvas. 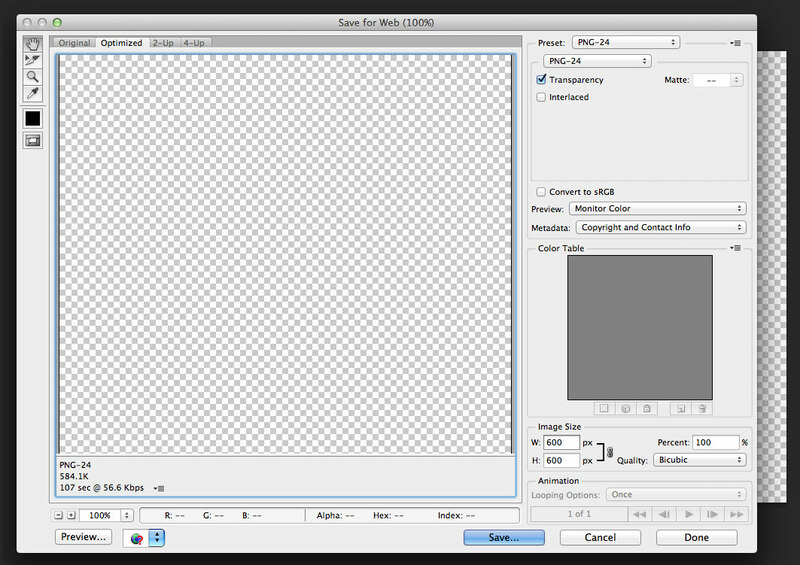 For this example, I'm using a 500x500 canvas, but you can actually go much smaller without a noticable difference. Invert the noise with CMD-i (all shortcuts listed are for Mac). This will turn the dark spots light, which will allow you to select them. Now that you have a selection, you need to make two layers: a light and a dark one. Having both will keep your image from being too dim or washed out, and gives you more control over the effect. Now, you have two noisy layers - one light, one dark. Place a photograph beneath them to test them - you’ll need to adjust the opacity of both layers to find the effect that works for you. Remember to use the 'Normal' blending mode for both. 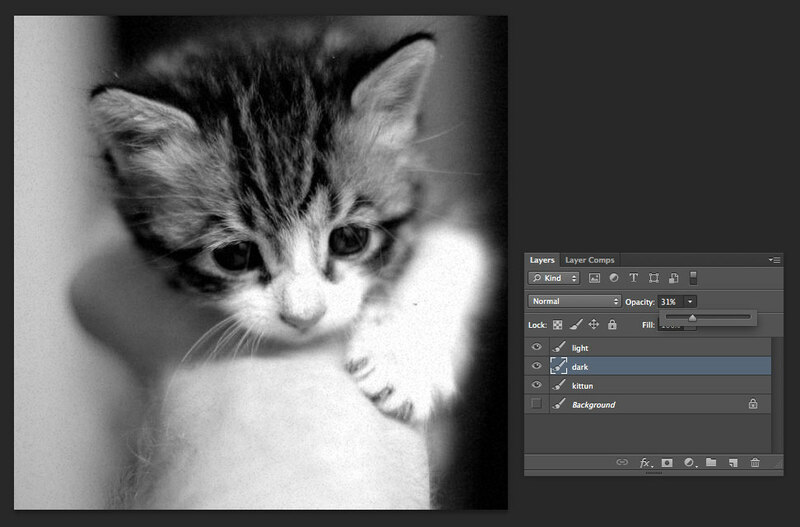 Go to File > Save For Web, and save the image as a PNG-24 with transparency. 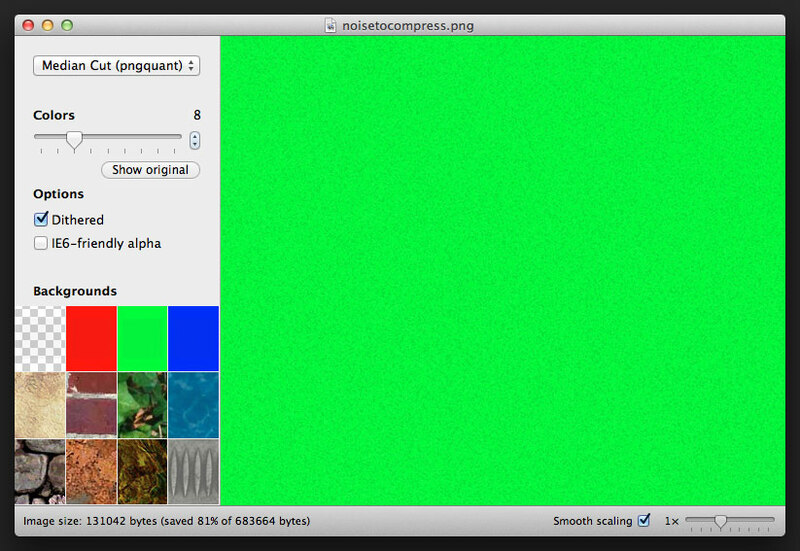 Open ImageAlpha, and open your noise image in it. You should be able turn the colors way down, even to 16. Test the results over the built-in photographs to make sure that too much detail isn’t being lost. 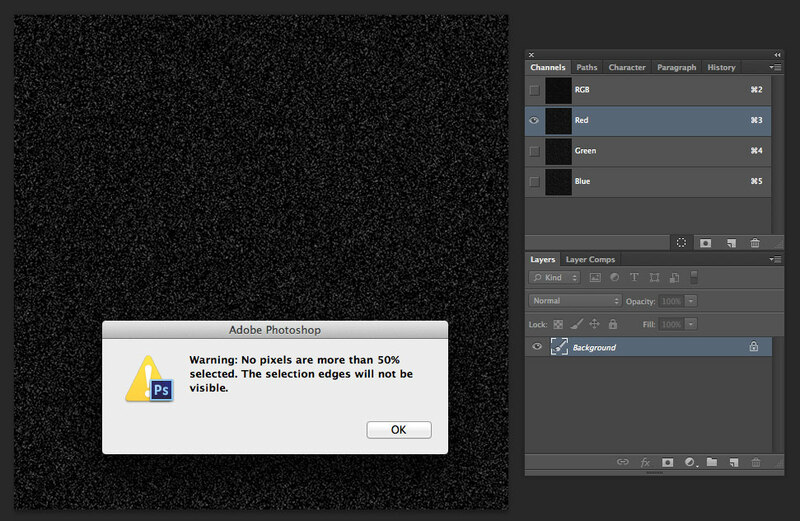 File > Save As — your image should be considerably smaller. Before you jump into CSS, you’ll probably want to make sure you have some mixins that cut the tedious repetition of vendor-specific keyframes and animations. In the example, I just made some quick ones, but it’s easier to just grab a gem like the Compass Animation one. Since I'm already using Sass in these examples, I'm going to make the final effect a mixin as well. Because your noise looks so random, and because it’s going to be moving so quickly, you don’t need anything too sophisticated here. You can get away with just taking the noise and translating it from place to place. It’s important to use translate, as opposed to position or background-position, because translate doesn’t cause repaints. Doing the same effect with background-position actually made my fans spin when I tried it - it’s significantly slower than translate. The last piece of the puzzle is a mixin that you can include on any element that wraps an image or has an image background (why a @mixin and not an @extend? Mixins tend to create smaller code, once gzipped, than extends do, and they’re more flexible than @extends). And that’s it! Here’s that example again. It’s a pretty gimmicky effect, but it shows off how much you can accomplish with keyframes and pseudo-elements. If you’ve done anything similar, or have your own ideas, let me know in the comments. Doug is a Senior Developer in our Boulder, CO office.